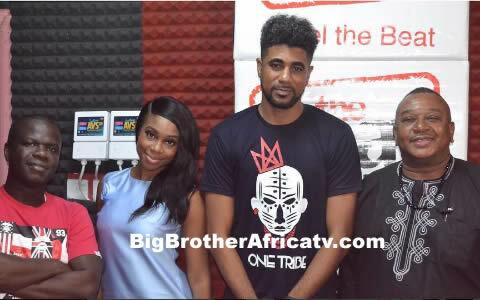 Ex-Big Brother Naija 2017 contestant ThinTallTony has said he did not deny his family while on the show and the BJ we thought we saw wasn't real. This happened during his interview with Beat FM yesterday. According to ThinTallTony, before going into the show, he had a conversation with his wife and because they are very private people who like to keep their private lives private, they agreed he should keep his family out of the show.